Prime Minister Trudeau in Vaughan on Feb. 7, 2019. 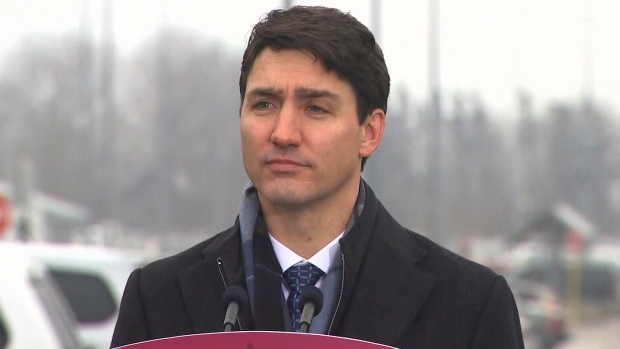 When asked Thursday about Ontario's health plans, Trudeau said the federal government will always stand up for its responsibilities to defend the Canada Health Act and ensure universal access to a strong health-care system. "We have acted in the past when provinces have not aligned themselves with the Canada Health Act and we will ensure that every province follows the requirements of the Canada Health Act," he said.